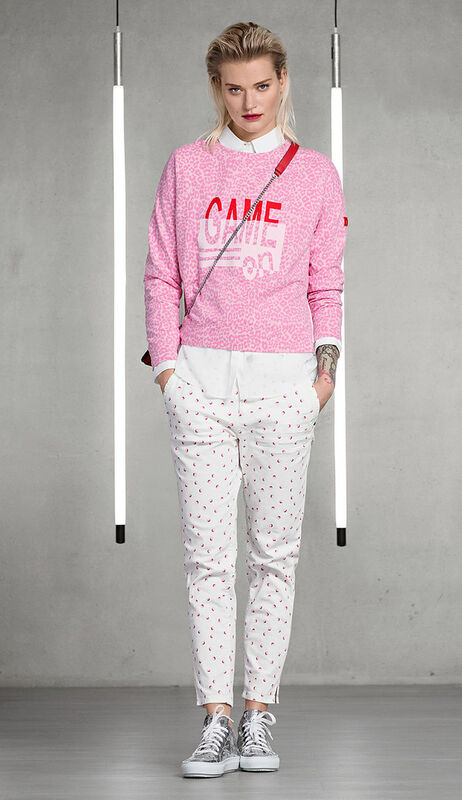 Game on lands a stylish hole-in-one with sporty sweatwear, linear graphic details, bright colour matches in red and pink, as well as original golf prints. Game on is an effortless fashion hole-in-one thanks to sporty sweatwear, linear graphic details, vivid matching shades of red and hot pink as well as original golf prints. Hoodies and sweatshirts emblazoned with numbers or slogans make for individual statement pieces. Graphic patterns on jacquard-knit skirts pick up on the sporty vibe. 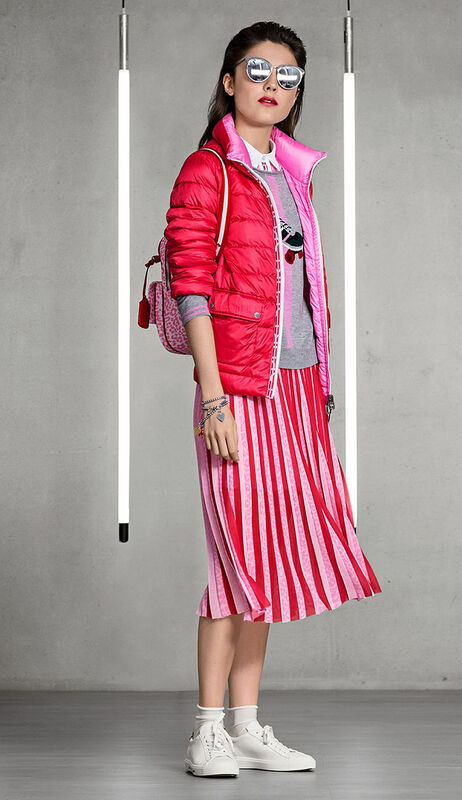 The reversible summer-down jacket and the double-print-ed pleated skirt radiate femininity and sportiness. Techno-jersey dresses and jackets get feminine touches with flounces and ruffles. Striped, velvet and zipper ribbons are essential elements, skilfully creating focal points. 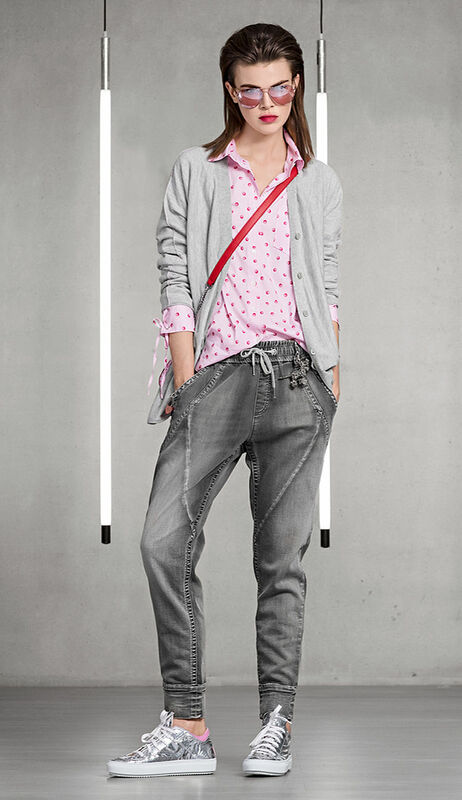 The new print with golf balls decorates pants and blouses. Metallic sneakers and mini cross-body bags are sublime accessories.